Centrally manage any type of file: images, video, audio, documents, html, galleries, 360 product images. Automatic classification by the AI: image recognition, speech-to-text, semantic analysis, machine learning and search engine to find any asset related to a set of keywords. Measure which content affects the choices of your users and propose content in line with their interests. Speed up the publication of multimedia assets on all channels and reduce update times on all system involved. Centralized management of any type of file: images, video, documents, audio, html, galleries, 360° images. Intelligent search engine to quickly find any content related to the keyword used. Allow your employees to quickly access all the content of your brand. Definitions of roles and permissions for each platform user. Monitoring of all activities carried out on your content to ensure its protection. 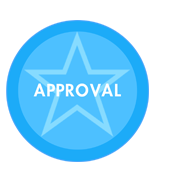 Speed up the content approval process by involving the right people at the right time. Automatic classification thanks to Artificial Intelligence: image recognition, speech-to-text, semantic analysis, and machine learning. Scalable cloud architecture, high reliability with flexible configuration, without any duration commitment. Want to know THRON, the Intelligent DAM? 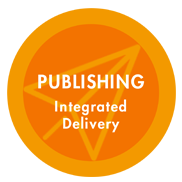 Reduce the costs and complexity of the IT infrastructure for distributing your content. Measure content performance and increase user engagement. Enhance multimedia assets with product information and create complete catalogs. Reduce infrastructure costs and optimize content delivery in China. Use the DAM and multimedia content without impacting the company internet network. Simplify the lives of creators with a cloud archive synchronized to their desktops. 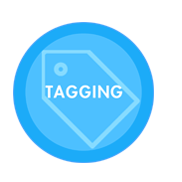 Create your Brand’s archive and exchange content in a controlled way with colleagues, partners, agencies. Centrally distribute all content across websites, applications, digital signage, and avoid duplications. 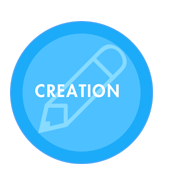 Simplify the creation, enrichment and publishing processes of product related content. 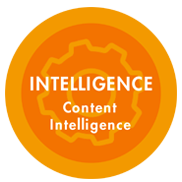 Enrich your audience segmentation with data obtained through Content Intelligence and empower marketing automation. THRON can handle all types of content, avoiding its duplication across different platforms and provides the ability to publish directly on websites, applications, digital signage and third party channels. Thanks to advanced AI engines, THRON makes content performances measurable, chooses the best content to show to every user and reduces the effort in content classification and research activities. With an integrated, powerful Universal Player, you can centrally distribute all your content and update them in real time across all channels, cutting down management costs and time. A cloud platform, accessible all over the world. No more concerns related to server capacity, loading time, device compatibility. And you only pay for what you are really using. Whirlpool easily manages content to which it associates the relevant product information, adapted according to the country. Valentino has reduced content management and updating costs by 75%. In an instant it can replace a single asset across all channels, worldwide. Maserati safely manages the worldwide exchange of content with its dealers, regulating access to the platform. Lastminute.com has unified the content of six brands into a single platform from which it feeds its channels. Editors update distributed images directly from Photoshop.